On a managed VPS hosting package, the hosting partner offers support for any system administration related issues, be it a server set-up, operating system upgrade, software/application installation or any other specific customer request. 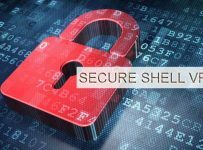 Although managed Virtual Private Servers cost significantly higher than their unmanaged counterparts, webmasters, who are unaware of the nitty-gritty associated with server management, often go for a managed plan. Compiling a list of the best managed VPS hosting provider can be a difficult ask, especially because different individuals will have different requirements. Having said that, there are a few universal parameters – such as cost, performance, infrastructure and customer support – which would always remain any webmaster’s top priority in the quest of finding the perfect hosting partner. We weighed upon the pros and cons of different managed VPS hosting packages based on these universal criteria to finalize the below list of top three managed VPS hosting service providers. A2Hosting is one of the few hosting service providers that offer fully managed VPS hosting, including but not limited to Server Management, Network Management, Asset (Hardware+Software) Management and Security Management. They quite rightly refer to their managed VPS package as “100% Worry-Free” hosting, because all the customers are provided with HostGuard Management – a feature that manages every aspect of your virtual private server – be it network related, server related or asset related. A2Hosting offers three managed VPS plans to choose from – Power+, Prestige+ and Pinnacle+. The entry level package, Power+, comes with 2 dedicated IPs, 2 GB RAM, 75 GB Raid-10 storage, 1000 GB Monthly Data Transfer Limit and 4 Virtual CPUs. This package usually makes your wallet lighter by $53.99 every month, but due to the ongoing festive season, they are offering a flat 34% discount on any VPS package and hence a Power+ Managed VPS plan will cost you just $35.63 per month at the moment. SwiftServer Platform, featuring ultra-speed SSD (Solid State Drive), can speed up page load time by over 300%. Completely managed solution for Network, Server, Asset & Security. Raid-10 enabled storage. Quadruple redundant network. Free CloudFlare content delivery network. US-based 24/7 Guru Crew customer support team. 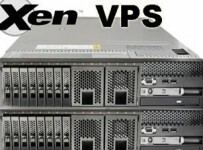 In managed VPS segment, Media Temple offers three packages to choose from. Their basic level managed VPS package – which includes 64-bit CentOS, 1 GB RAM, 30 GB Disk Space and 1 TB Monthly Bandwidth with root level access and 100% guaranteed uptime – is priced at a competitive $50 per month. Media Temple’s managed hosting service comes with access to their famed 24/7 support help-desk via chat, Twitter or phone. They also have an active forum and extensive Knowledge-base which can be of great help in troubleshooting any technical issues. Network and server monitoring with Parallels Power Panel. HostingSource’s existing customers’ have an option to purchase managed services as an add-on to their standard/premium unmanaged VPS package. Their entry level managed VPS hosting service, known as the Advanced Plan, will add up $19 a month over the cost of your current VPS package; while the cost of upgrading to a Professional Managed Plan stands at $39 per month. As far as a new customer is concerned, a managed Linux-based VPS (Advanced Plan) with CentOS, 1 GB RAM, 1 Core CPU, 20 GB Storage, 3 TB Monthly Bandwidth and 1 Public IP will cost you $10+$19=$29 on a monthly basis. With any managed VPS plan, HostingSource will provide support for Server Hardware, Server Monitor, 5 Service Monitoring (FTP, SSH, HTTP etc), Apache and IIS Support and cPanel/Plesk support and a bunch of other value added services. Free Server Monitoring for all managed VPS plans.